Professor James Speers has extensive experience as a senior forensic scientist practitioner in the forensic investigation and management of serious crimes and terrorist offences in Northern Ireland. He has also considerable experience in programme development, teaching and practice of forensic services (both science and medicine) at national (UK) and international level (Poland, Turkey, Jordan and Palestine). The teaching of forensic services and crime scene investigation/ management is in the context of the professional development of forensic scientists and pathologists, and in creating forensic awareness and knowledge within police forces and criminal justice systems. Prof. Speers has considerable expertise in leading and developing programmes of work for the United Nations and the European Union to modernise the criminal justice system and security sector in the Middle-East, specialising in the development of forensic services and legal frameworks. 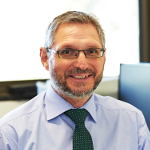 He has recently taken up a position at Murdoch University to develop the Graduate Certificate and Master’s degree programmes in Forensic Science (Professional Practice) and overseeing the development and incorporation of the Bachelor’s degree in Forensic Investigation for the Western Australian Police Forensic Division. His research interests centre on developing methods for the analysis of forensic evidence. He has published scientific papers and supervised a number of Doctorate and Post-Doctorate projects (within his role as Honorary Professor of Forensic Science at Queen’s University Belfast). Prof. Speers is an internationally recognised expert in developing forensic services, the detection and profiling of drugs of abuse, particularly Ecstasy and unknown New Psychoactive Substances (NPS) and the analysis and recovery of inorganic and organic explosives and firearm cartridge discharge residues.